A community health volunteer linked Ann Walela to malaria preventive treatment services at her local health facility and she gave birth to a healthy boy, Daniel. 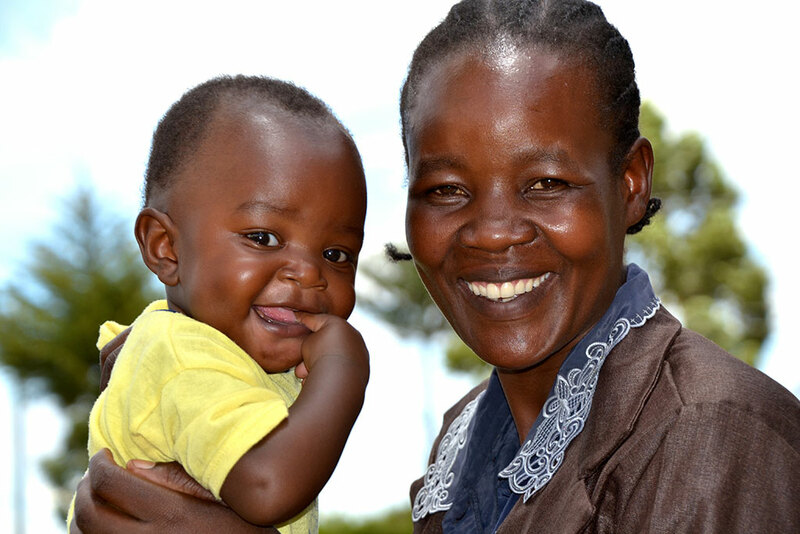 Bungoma, Kenya—Ann Walela coos lovingly at her six-month-old son, Daniel. “He is my miracle,” says the 31-year-old mother. After suffering four consecutive miscarriages due to malaria-related complications, Walela had lost all hope of ever having another child. “My husband and I were devastated and the miscarriages put a lot of pressure on our marriage,” she says. When Walela learned she was pregnant again, she felt joy and fear in equal measure. She was hopeful about the possibility of giving her only child a brother or sister, but worried that she would lose the baby yet again. But then she met Benedict Juma, one of 382 community health volunteers (CHVs) working with the United States Agency for International Development’s flagship Maternal and Child Survival Program (MCSP) in Bungoma County, Western Kenya. MCSP, which is led by Jhpiego, is working in Kenya and 24 other countries to end preventable maternal and child deaths. Globally, approximately 584,000 deaths were attributed to malaria in 2013. Of these, 90 percent occurred in sub-Saharan Africa. Bungoma County, Kenya, is in the high malaria transmission Lake Region, and has a malaria prevalence rate of 38 percent. The disease is the leading cause of death among children and illness among pregnant women in the region. Under MCSP, the CHVs are provided with continual training on prevention of malaria in pregnancy through simplified guidelines, including recommending treatment early when someone becomes ill and providing educational messaging to sensitize pregnant women to attend antenatal care early. “We go door to door, visiting people and advising them on how to care for their health,” Juma says. During these visits, the CHVs demonstrate the correct way to hang the mosquito nets and conduct spot checks afterward to make sure families are using them correctly. The CHVs also encourage good hygiene practices including latrine use. “It’s all about kicking malaria out,” Juma says with determination.